Ken Haines has led The Wrench Group as CEO since 2016. Transitioning into our company from his position as CEO of Coolray, which he held since 2003, Ken brings with him 39 years of experience in the home services industry. He’s also served as the Regional VP of Operations for BlueDot and has held many leadership roles at Service America. Ken notes, “At the Wrench Group our mission is to exceed customer expectations at every touchpoint; we call that customer thrill.” Ken feels it is an honor to lead an organization with people at every level, in all locations, who are so committed to providing an excellent customer experience. He’s honored to have well-trained, reliable, and trustworthy techs, with operations teams that are passionate about customer service and deliver on customer needs 24/7. Ken knows that this passion for customers and relentless dedication to improvement positions The Wrench Group to scale both in existing and future markets, and continue to lead the home services industry. Paul Kelly joined The Wrench Group as Regional CEO in 2016. Transitioning into our company from his position as owner of Parker and Sons in Phoenix, Arizona, Paul brings with him 30+ years experience in the home services industry…, not only in operations, but in accounting, finance, sales, marketing and acquisitions… much of that experience with national companies. Although his schooling and early background was in accounting/finance, he prides himself in being marketing and operations driven. He also serves on the Electric & Gas Industry Association Board and Better Tech Institute Board. Paul attributes his success to the influence of the industry’s greatest leaders and trainers. Being part of an elite group of businesses, leaders, trainers, and support staff, under the Wrench umbrella of companies, further drives him to compete at a higher level, learn from other’s successes and failures, and ultimately drives everyone to better results. He thinks it’s fun being with a winner. 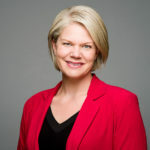 Meghann McNally joined The Wrench Group as Chief Marketing Officer in 2018. 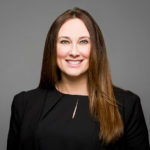 Transitioning into our company from her position as Director of Marketing Excellence at AGCO Corporation, Meghann brings with her 20 years of experience in the marketing field. She’s also served as North American Marketing Manager at Doosan Infracore, and is a youth mentor at Woodson Park Elementary in Atlanta, GA.
She views The Wrench Group as an organization comprised of driven leaders at every level of the organization who are dedicated to delivering superior customer service. In marketing, operations, sales and information technology The Wrench Group team is investing in leading initiatives that will deliver improved customer experience and continue positioning Wrench as the leader in the industry. Tonja Morris joined The Wrench Group as Vice President of Human Resources in 2016. Transitioning into our company from her position as Vice President of Human Resources at Coolray Cooling, Heating and Plumbing, Tonja brings with her 20 plus years of experience in the field of human resources. She’s also served as VP Associate Services at Lane Management LLC and as an Adjunct Professor at DeVry University. As an HR professional, Tonja views people as paramount. She notes that The Wrench Group quickly positioned itself as the industry leader in the home services arena by recognizing that they are in the people business. Wrench treats their employees very well and in turn their employees treat their customers even better—it is a win-win for all. 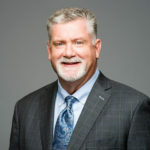 Alan O’Neill joined The Wrench Group as Regional CEO of Texas in 2016. Transitioning into our company from his position as CEO and Founder of Abacus Plumbing, Alan brings with him over 40 years of experience in the home services industry. Alan believes in channeling this wealth of knowledge to share his story. He has been a featured speaker at many prestigious industry events, The Howard Partridge Round Table, Silver Fox, and Better Business Bureau events. Alan hopes to inspire his audiences and help them accomplish greater leadership, gratitude, and motivation. His core tenants of management exemplify the epitome of extraordinary customer service, profitability, and the power of “Imagining The Possibilities”. Alan notes the benefits of The Wrench Group include: best practice sharing amongst a geographically diverse group of companies, and a laser-like focus on the customer along with employee development. In addition, the company delivers world-class training and marketing. 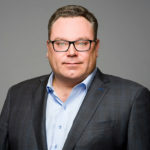 Robert Sheesley joined The Wrench Group as CIO in 2018. Transitioning into our company from his position as Triton Value Creation Consultant in 2017, Robert brings with him 25 plus years of experience in business and technology strategy. He’s also served as the Director of Strategic Technology Optimization at University of Pittsburgh Medical Center, Program Director at HEALTHeLINK, and as member of the Board of Directors of the Veterans Leadership Program. Robert feels that The Wrench Group provides an opportunity for himself and every team member at every level to contribute to the success of an industry-leading organization. From leadership, to operations, to techs, every person can participate in the growth, evolution and success of the business. 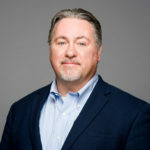 Paul Smith joined The Wrench Group as COO in 2019. Transitioning into our company from his position as CEO of the Wrench Group Southeast Region, Paul brings with him 29 years of experience in the home services industry. He’s also served as Executive VP and COO of Coolray Cooling, Heating and Plumbing and Parker and Sons in Phoenix, AZ. Paul attributes his success to his unique background and simplified approach to growing a business. His specialty is taking something complicated and reducing it down to something simple and easier to implement. He believes The Wrench Group provides the support and framework to take great businesses to a higher level while encouraging the entrepreneurial freedom great business leaders desire. When high caliber people with high expectations running the best businesses around the country come together, you want to be part of it. The Wrench Group is this opportunity. Michael Thompson joined The Wrench Group as CFO in 2016. 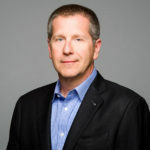 Transitioning into our company from his position as CFO and Financial Partner for Industrial Service Solutions, Michael brings with him over 20 years experience in Finance. He’s also served as CFO of GE Performance Services where he served for 12 years in roles of increasing responsibility. Michael believes that The Wrench Group is second to none. It is financially and operationally positioned for sustainable growth and our structure allows for continued and effective entrepreneurial-spirit while leveraging functional best practices to ensure IT, Marketing, Operations, and HR are supporting the business and creating continued return on investment. When he came to The Wrench Group he knew he was going to be part of a financially strong and successful company, and The Wrench Group’s story is just beginning.